The boom box, Kodak digital camera, and the Sony Walkman were all invented within the same decade as the Post-it Note. As the Post-it Brand celebrates its 35th anniversary, they are celebrating the iconic Post-it Note, as the simple reminder never goes out of style, as well as the assortment of organization and communication solutions the brand has introduced to us over the years. Over the last 35 years, the Post-it Brand has helped great ideas take shape starting with a simple, practical reminder. 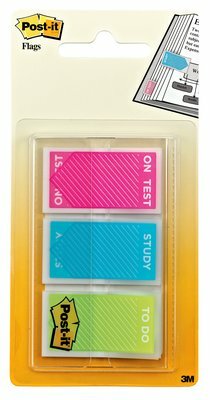 Since the introduction of the original canary yellow 3 x 3 Post-it Note in 1980, the Post-it Brand has evolved into an assortment of products that transform lives by making communication and organization fast, friendly and easy. From the Post-it Brand World of Color collections inspired by the style and cultures of nine exotic destinations around the world, to the array of bright and bold colors of Post-it Flags and Tabs, the Post-it Brand is continuing to help ideas of all shapes and sizes come together since the invention of the original 3 x 3 note. 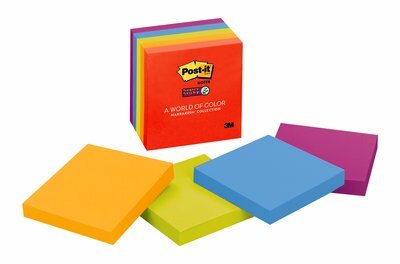 Over the last 35 years, Post-it Brand has helped transform lives by making communication and organization fast and easy and continues to do so in our everyday lives! Check it all out at Post-It Brand on Facebook, as well as Post-It Brand on Twitter.